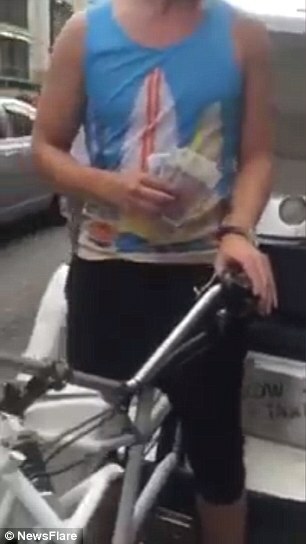 A shameless rickshaw driver who charged tourists £206 for a one-mile journey has insisted it was fair because he was pedalling ‘uphill’ – and claimed it should have cost twice as much. 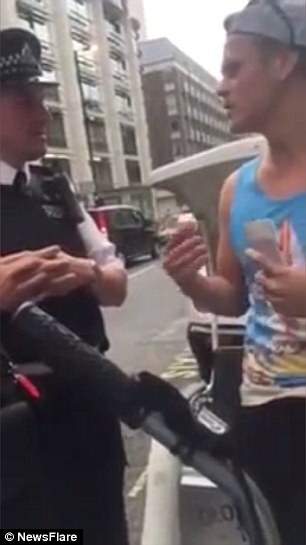 Juris Dzjabovic, 22, spoke to the Daily Mail after video footage emerged of him charging the extortionate fee for a ten-minute trip along Oxford Street in Central London that would have cost about £7 in a black cab. 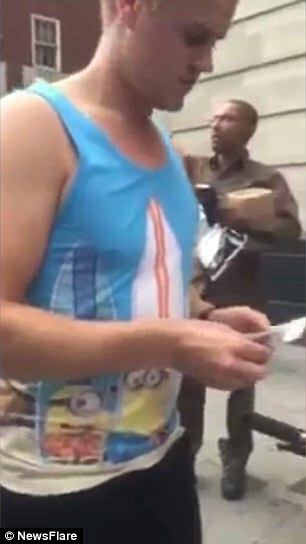 Moscow-born Mr Dzjabovic, who calls himself a ‘rising star’ in Russian opera and claims to be in Britain on a tourist visa, boasted: ‘I don’t come cheap. I work my legs hard, I look good and I play good music – you have to pay a lot if you want that kind of luxury. ‘I charged £206 because there were four people and I was going uphill. I didn’t even charge them the full amount – it should have been £412. Sure, £10 a minute is expensive, but that’s only if I go uphill. 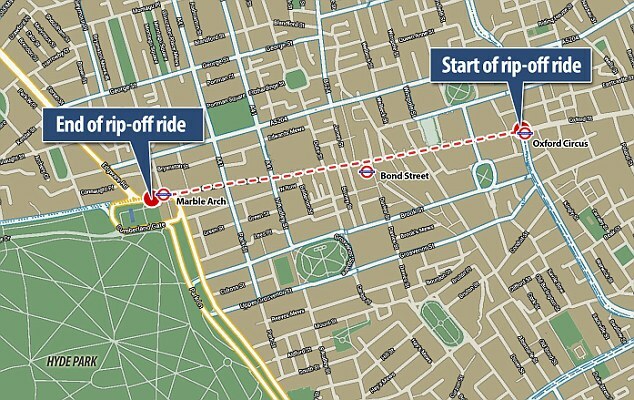 For downhill, it’s £10 for ten minutes. 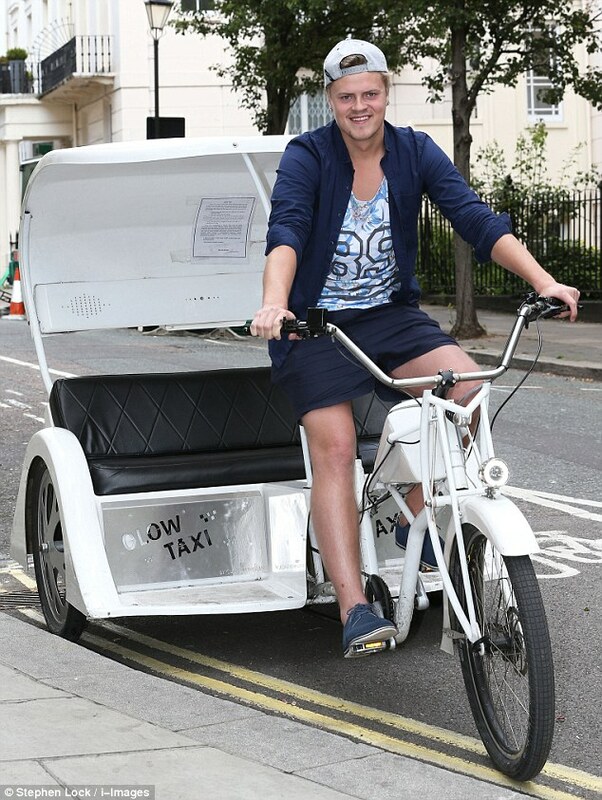 Mr Dzjabovic said he arrived in the UK just seven days ago and claimed to have immediately begun working as a rickshaw cyclist for Glow Taxis. 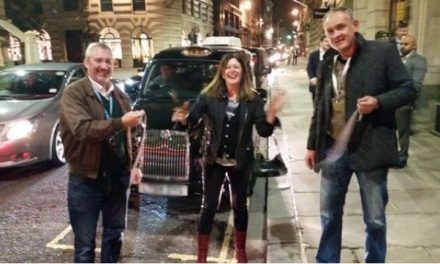 A spokesman distanced the company from Mr Dzjabovic, saying he worked semi-independently by hiring a rickshaw from them, and sternly denied sanctioning £10-a-minute fees. 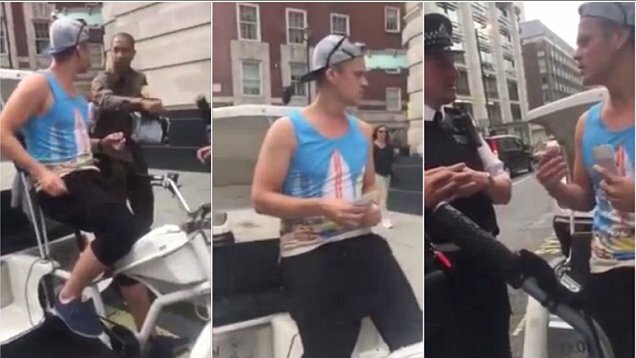 An unrepentant Mr Dzjabovic maintained that his passengers were told about the rate as they boarded, and claimed he ended up accepting just £40 after being challenged by a passer-by, two police officers and taxi driver Richard Long, who filmed the scene on his phone. 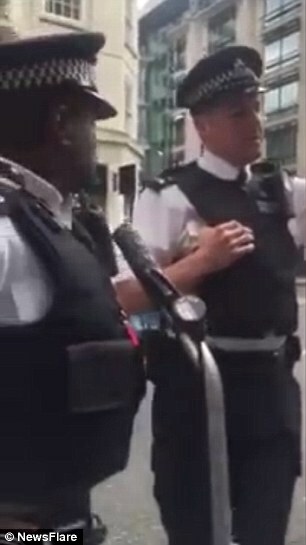 It is understood police took no further action despite one officer accusing him of ‘exploiting’ the tourists, who appeared to be two women in headscarves with two children. 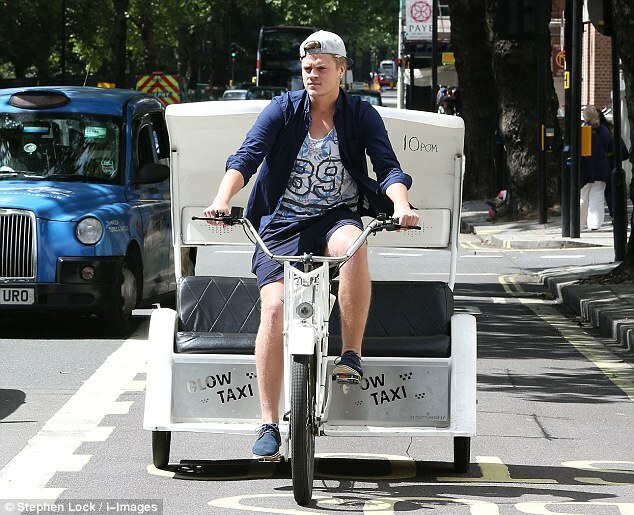 London’s rickshaws, also know as pedicabs, are popular with tourists but lack of regulation is said to give drivers free rein to charge inflated fees. Tourist visas – or Standard Visitor visas – are valid for up to six months. Visitors are not supposed to work, but may apply for a ‘permitted paid engagement’ extension if the work relates to their ‘main area of expertise’. 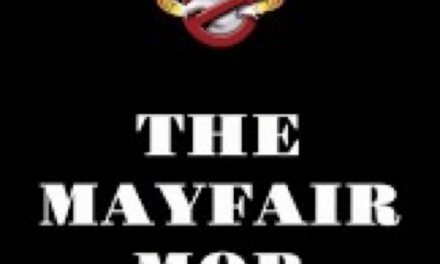 Statement From The Mayfair Mob Regarding LTDA Branch Meeting.